When your car breaks down, the auto repair bill can sometimes leave you feeling broke. If you’re using a reputable repair shop, though, there’s usually good reason for the size of the bill. To understand why car repairs cost what they do, you have to look at the three factors that go into an auto repair bill: parts, labor and overhead. OEM (Original equipment manufacturer) parts, which are the same as the parts installed on the assembly line. Though the most expensive, they’re also generally the best and can help keep your warranty intact. Used or remanufactured parts are the cheapest, but would not be expected to last as long. There will sometimes be fees associated with the parts, such as a charge for properly disposing of the old parts. 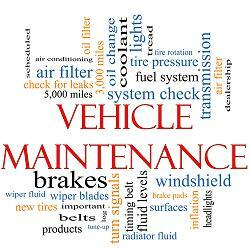 The labor charge on an auto repair bill is the amount charged for the technician’s time and effort. It’s billed by the hour at the shop’s hourly rate. Each repair task has a book time, or the official amount of time it should take to complete. The best technicians can complete repairs in less time than that, but they’re not penalized for working quickly: You’ll still pay based on the book time estimate. This last factor will often not be listed on the auto repair bill, because it’s incorporated into the price of parts or labor. Every shop has overhead costs, such as utility bills, rent and computerized diagnostic equipment. If those costs weren’t passed on to the customer, repair shops couldn’t exist. It’s possible to avoid repair bills entirely by always driving a newer lease vehicle. Besides being less likely to break down, such cars are usually covered by warranty. To upgrade your lease vehicle, contact us at Swapalease.com. This entry was posted in Car Maintenance & Repair and tagged auto repair bill, car maintenance, car repair shop, certified car repair technicians, computerized diagnostic equipment, warranties by admin. Bookmark the permalink.